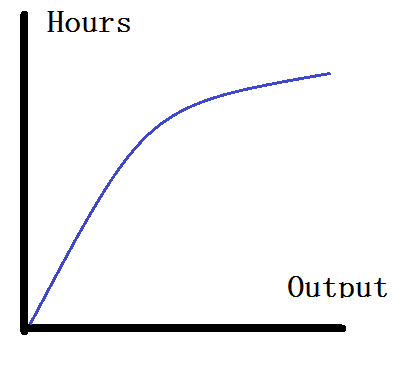 Suspicious Heuristics: Does reality have a closed-form solution? Yesterday I listened to a very good talk by Boris Gershman of American University as part of George Mason's Public Choice Seminar Series. The title of his paper is "The Two Sides of Envy", basic premise being that envy can be either productive ("keeping up with the Joneses") or destructive, causing malicious destruction of others' property. He then outlines a mathematical model using parameters like quality of property rights enforcement and cultural feelings about inequality to explain how either productive or destructive equilibria can come about. A good paper, I would say. But, the part that inspired me to write this blog came at the very start, when Dr. Gershman was describing his assumptions. 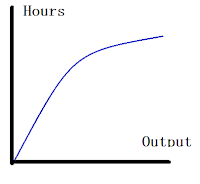 He said something like (paraphrasing) "assume that production as a function of time is linear and increasing. This allows us to find a closed form solution." which can be complex, but in practical terms, is solvable and can produce some tangible answer. Closed form expressions are nice when you're writing a research paper because then you can derive some optimum or equilibrium (whichever you happen to be interested in) and therefore have a nice clear result to present at the end. If a problem lacks a closed form solution then it requires some sort of computer modeling or other difficult method in order to analyze it, which is a lot less satisfying. So what does this do to the model? Suddenly there are no closed form solutions. Everyone's optimum becomes incredibly difficult to calculate, and the existence of any equilibria much more difficult to prove. And this is just one example: introducing non-linearity into other parameters as well creates an even more tangled skein for the theorist to unravel. For the most optimistic Neo-Classical economists, ideally economics would be a science like physics, which can express and predict human behavior with a set of equations. In the last 50 years that goal has been shown to be increasingly unrealistic but many brave micro-theorists still persist to this day, although their hopes have no doubt been tempered with experience. So, although the paper by Dr. Gershman is very nice and the technique is strong, I wonder how much it helps us understand human motivation beyond saying envy can be either productive or destructive - a fairly intuitive result which hardly needs mathematics to express it - when the quest for a closed form solution makes its assumptions so divisive with reality.